For the past one hundred years, the organization known today as the Morean Arts Center has been a resource and a destination for artists and art lovers. The Morean Arts Center’s story began in the early 20th century when a group of local artists in need of a place to work, teach and display their work connected with the Florida Winter Art School. The Art Club of St. Petersburg elected George F. Bartlett as the club’s first president. The club and its gallery – the first art gallery south of Atlanta – settled into space provided by the Florida Winter Art School in their building on Beach Drive. In the century that followed, the city’s population grew from approximately 7,000 to over 250,000 today. The Morean Arts Center, from those informal beginnings in 1917, has mirrored that growth and become an integral part of one of the country’s top arts destinations. After its early years as an informal group, the club incorporated in 1923 and launched into a busy program of activities. In a typical winter season, there would be six major exhibitions, members, guests, lectures, demonstrations and art classes for children. In the 1930s the club launched a mid-summer art festival that included a members’ exhibition and free classes for children and began working with the public schools to offer art to more children. By the 1960s, community pressure was building to create an art museum on the Beach Drive property. In 1963, as plans for the Museum of Fine Arts took shape, it became clear that the Art Club needed to find a new home. 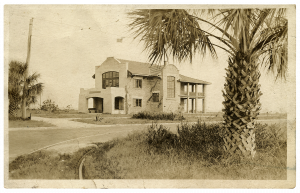 201 Beach Drive – the old homestead – was razed in 1965 after the Museum of Fine Arts opened. A much-loved kapok tree, planted in 1965 to commemorate the Art Club, marks the spot today. The Art Club of St. Petersburg was a force for art and artists in the city for forty years. In 1971, the Arts Center found a two-story building near Webb’s City, at 100 Seventh Street South. Members provided the elbow grease and muscle for the renovation; association president John Stanley almost lived in the building while the work was being done. Stanley also mortgaged his own home to provide the down payment for the building, and he later left his estate to the organization, a legacy recognized by the John Stanley Gallery in the current building on Central Avenue. The first year in the new building was marked by receptions, an open house, and a masquerade ball. Competitions were held, one for all Florida artists and one for muralists. Two years later, the Arts Club merged with the Arts Center Association to create a stronger and broader organization known as The Arts Center. Over the next 25 years, the Arts Center offered a steady schedule of exhibits, adding ceramics and sculpture to 2-D art, which it had shown for decades. After more than two decades on Seventh Street South, The Arts Center moved again, this time to Central Avenue. Since then The Arts Center has kept pace with the rapidly expanding world of art. Today the Morean Arts Center offers programs for all mediums, styles, skill levels and ages. In 2005, The Arts Center was renamed the Morean Arts Center, honoring the Morean Family’s generosity, which has given The Arts Center a solid financial footing and supported its continued growth. In 2009 the Morean Arts Center moved its ceramics program to a historic 1926 former freight depot. The Morean Center for Clay only offered educational programming until 2015. 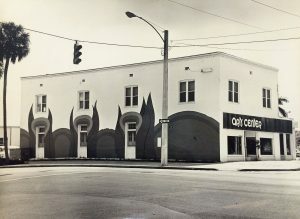 It later absorbed the St. Petersburg Clay Company, allowing the program to expand to include retail space, rotating exhibitions, private artist studios, an artist-in-residence program and unique event space. In 2010, the Morean Arts Center opened a permanent display of Dale Chihuly’s unique installations in order to provide financial support for ongoing educational programming and exhibitions through the proceeds of both ticket and retail sales. The Chihuly Collection fired up local interest in glass art, and the Morean opened the Morean Glass Studio to provide educational programs and demonstrations. 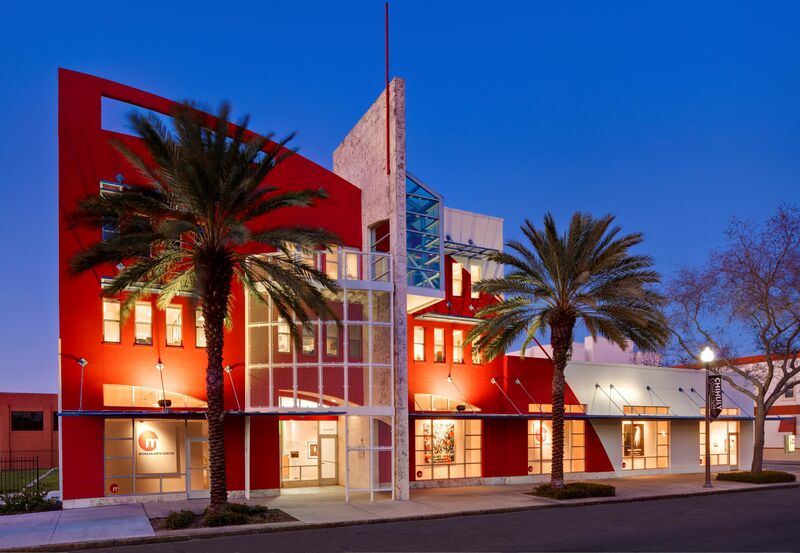 Today, at the end of a century of steady growth, the Morean Arts Center continues to be a driving force within St. Petersburg's art scene and providing a place of creativity, innovation and exploration. You can support our efforts to connect people with art by donating to our annual fund.